Security Memetics: i'm from the net, stupid, what kind of requirements are those? i'm from the net, stupid, what kind of requirements are those? well, i suppose jay-z doesn't realize that samsung will try to use him in exactly the same way or maybe he's in on it and doesn't understand the intelligence the rest of the world has. 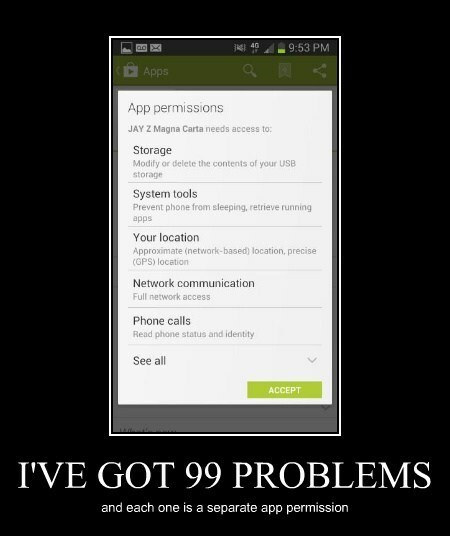 but whichever it is, the number of permissions this app requires is too damn high!